Internal overview. 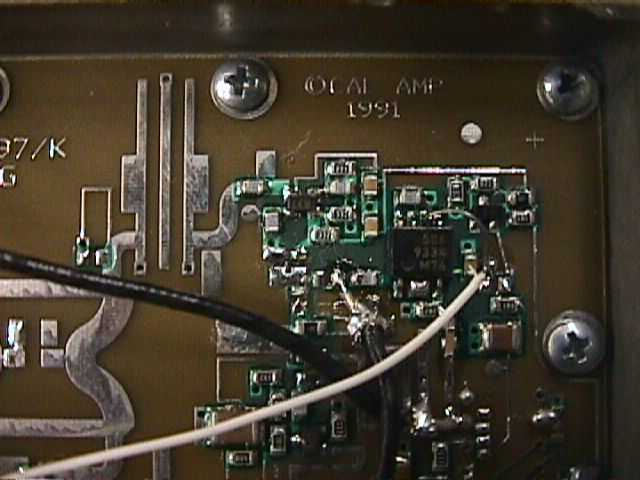 RF input is on the left, the prescaler is the IC on the right and the voltage regulator is in the bottom left corner. 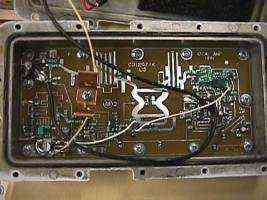 Picture of the prescaler wiring. 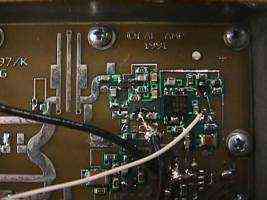 The white wire is the +5 VDC power line, the coax connection to the left of the IC is the RF input and the bottom coax connection is the divided by 64 RF output. Prescaler is a Fijitsu MB506, refer to datasheet for more information.